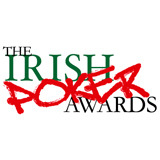 The public can now cast their votes for Ireland’s top poker players at www.theirishpokerawards.com. Nominees have been chosen by a panel of in industry experts, including representatives from BoylePoker.com, Bluff Europe Magazine, PokerNews.com, pokerireand.ie and d4events.com, and now it’s down to the public to decide who collects the awards at a glittering ceremony in Dublin on 17th October. Categories include Best Cash Player, Best Tournament Player, Poker personality of the Year and, of course, the all-important Player the Year. Organisers remind us that there are only two weeks before the awards, so we need to get voting. The Irish Poker Awards will be held at the Regency Hotel in conjunction with BoylePoker’s International Poker Open. “This is a great opportunity to honour the wealth of talent in Irish poker today, from the legends of the game who have been around for years to the young internet geniuses who are busy redefining the way the game is played,” said Bluff Europe’s Michael Caselli, who will be co-hosting the awards with former Irish Open Champion Neil Channing. Event details and online ballot are available at www.theirishpokerawards.com.